We are looking for a passionate certified Data Analyst, who will be responsible for interpreting data and turning it into information which can offer ways to improve our business. You will turn data into information, information into insight and insight into business decisions. You will conduct full lifecycle analysis to include requirements, activities, and design. Once data has been gathered and interpreted, you will submit a comprehensive report of your findings. 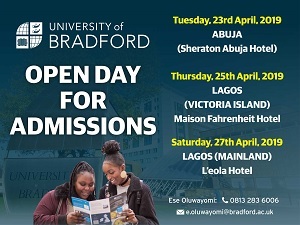 B.Sc/HND in Mathematics, Economics, Computer Science, Information Management or Statistics. Interested and qualified candidates should send their CV to: [email protected] with the position as the subject of your mail.